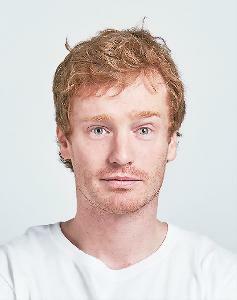 Francis Cronin is an Irish born and raised comedian, actor, writer, producer and ex-Irish army officer. In 2012 Frank won the 'People's Choice Award' at the WAFF Awards and was nominated for an 'Outsider - Person of the Year Award' in 2013 for his comedic documentary series about living in a tent for his entire final year of university. He has performed in front of crowds from 50-5000. He wrote the hit Irish comedy series 'The Boys.' and wrote and starred in BlackPills's 'SuperHigh.' Francis has made numerous TV appearances in Ireland and America and you can catch him on Fox's Laugh'sTV. Francis has also worked with SNL alumni on beyondthecomics.com and stars in Equal's Three viral sketches which garner over 50 million views a month globally.